Just an experiment mixing some images I found on Google with a formerly unfinished work in progress I had. Colored/inked using vector shapes. The rain effect was done by creating a new layer. This was then filled with white. I used PSP’s Add noise filter to add gaussian noise (25%) coverage. Then used the motion blue to create angled streaks. duplicating this layer multiple times (setting each layer’s blend mode to multiple) I then merged them and used the negative function to reverse the layer setting it to screen. this layer was then moved below batman but above the background. 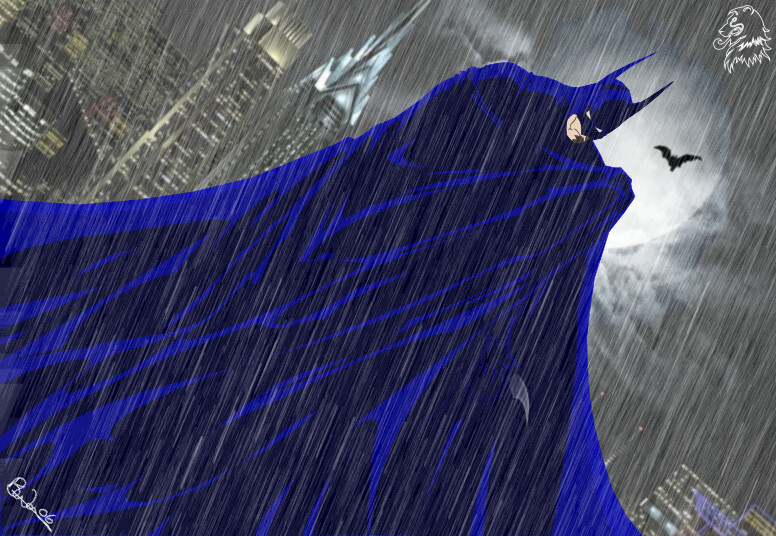 repeated the process with slightly different settings to create a layer of rain in front of batman. 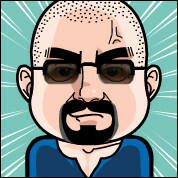 simple when you know how;) I couldn’t remember who did the drawing originally. As soon as I can or if anyone recognises it, I will add credit here. Previous PostScarlet Dreams – Misty MemoriesNext PostDeadpool – Would you like fried with that?